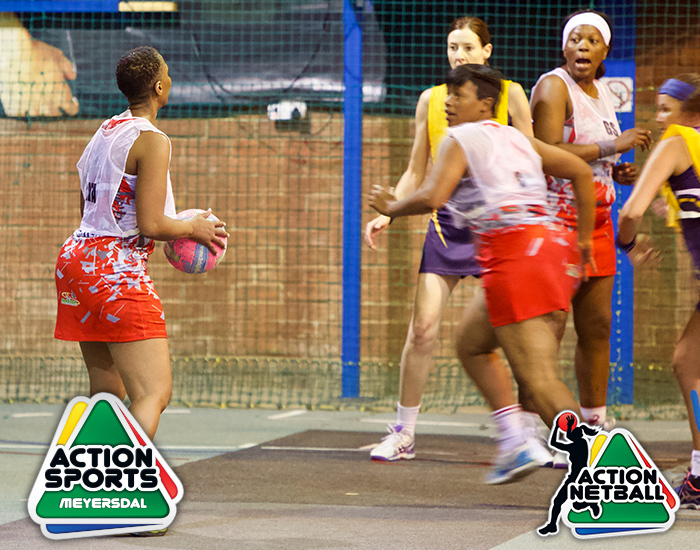 "The way indoor NETBALL should be!" 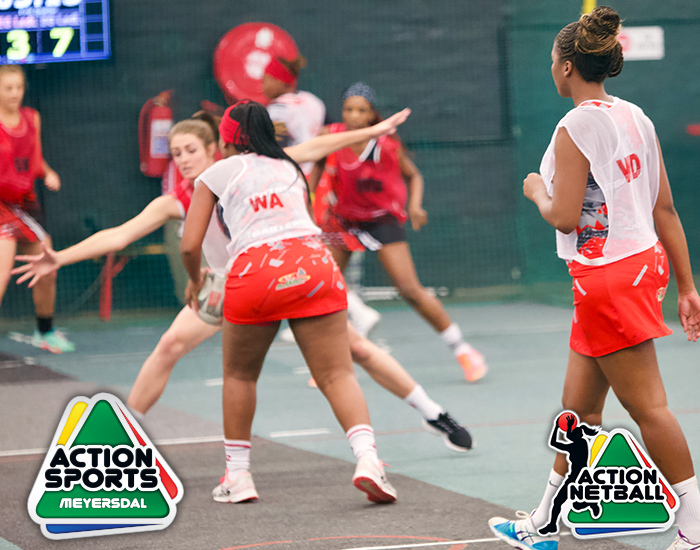 This fast paced 7-a-side 6-a side game is perfect for you to satisfy that social or competitive drive and to get a team together. It is perfect for men and women, boys and girls to play in a team together, and more often than not, it's the women bragging at the end. In this version the court is divided into halves rather than thirds, and there are six players per team rather than seven. 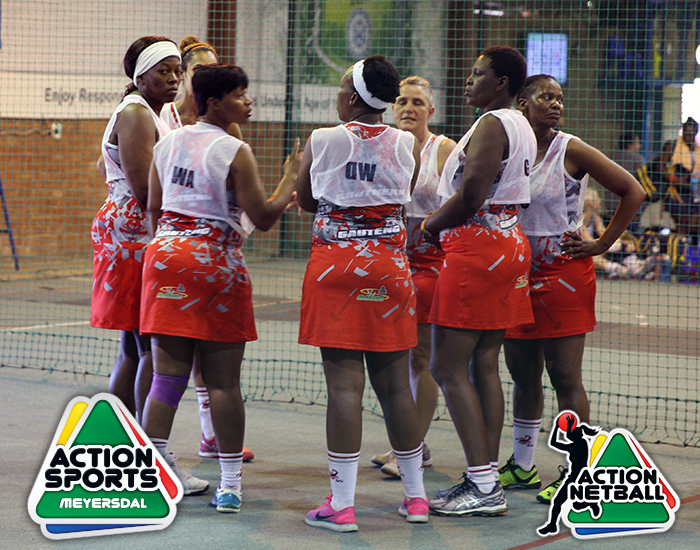 The team is made up of two centre players, two attack players, and two defence players. 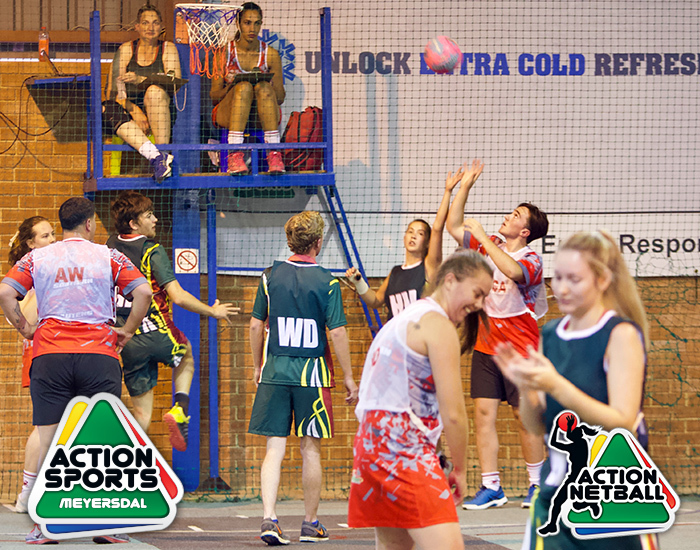 The two attack players are located in one half and the two defence in the other with the centre players running the full court excluding the circles. Scoring is also different, with a successful shot inside the circle scoring 1 point and outside the circle scoring 2 points (much like 3-pointers in basketball). 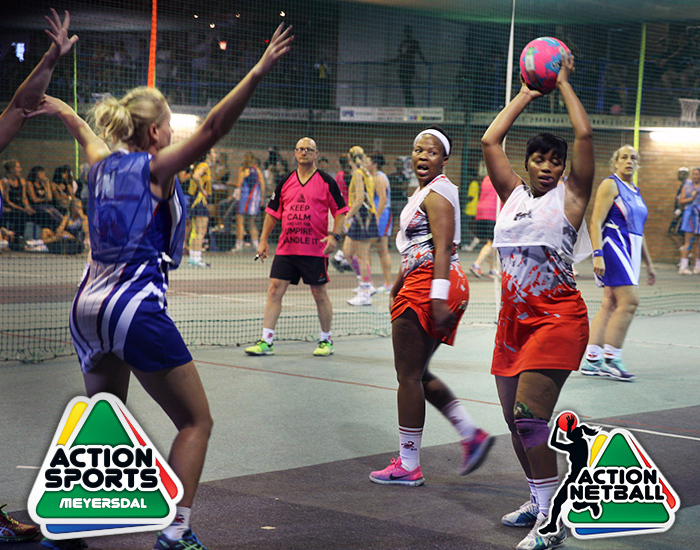 Because of the 2-point line this changes the game play significantly, with the attack players working to set up the centre players for the 2-point shot. 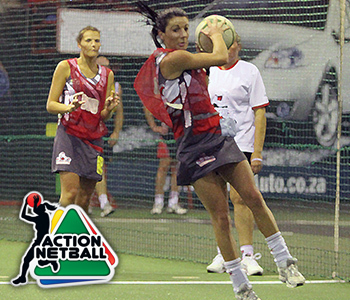 Once a goal is scored, a defence player from the opposition team takes a throw-off from the top of their circle. This makes the game even faster as the ball doesn't have to be sent back to the centre third for a centre pass like 7-a-side. 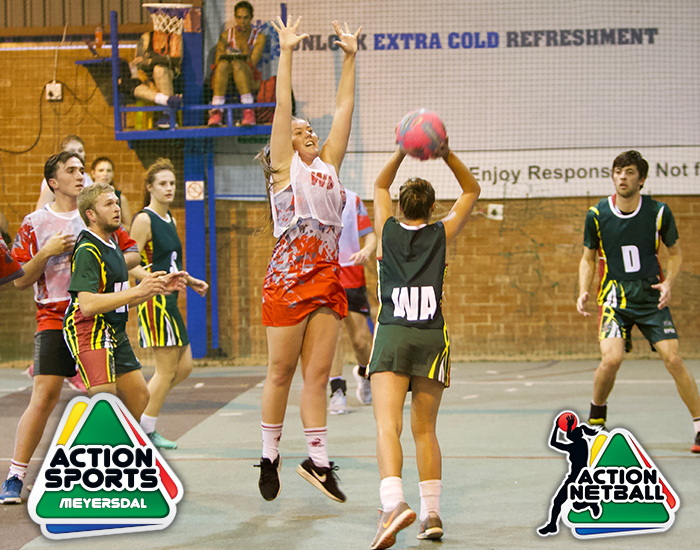 Come in for a privately organised social game or for your inter-company regular competition, and then relax at our after game facilities or come and join a team, register in a league or just come along for the social environment and watch sports on our huge Tv's. Book for casual games too! We can also take bookings for one off or regular private competitions. 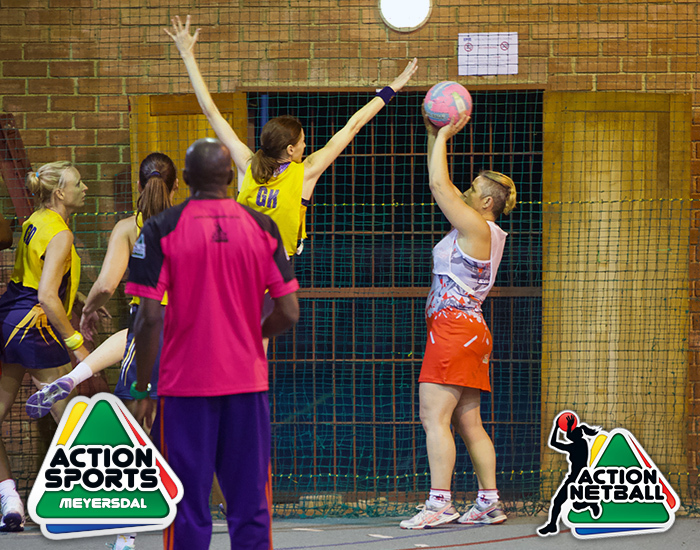 Become an Action Netball Guru! 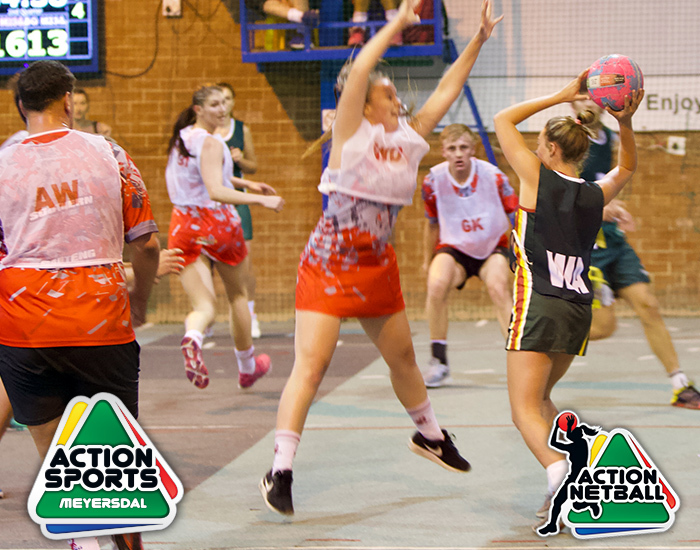 Download the Action Netball Rule Book in PDF format. 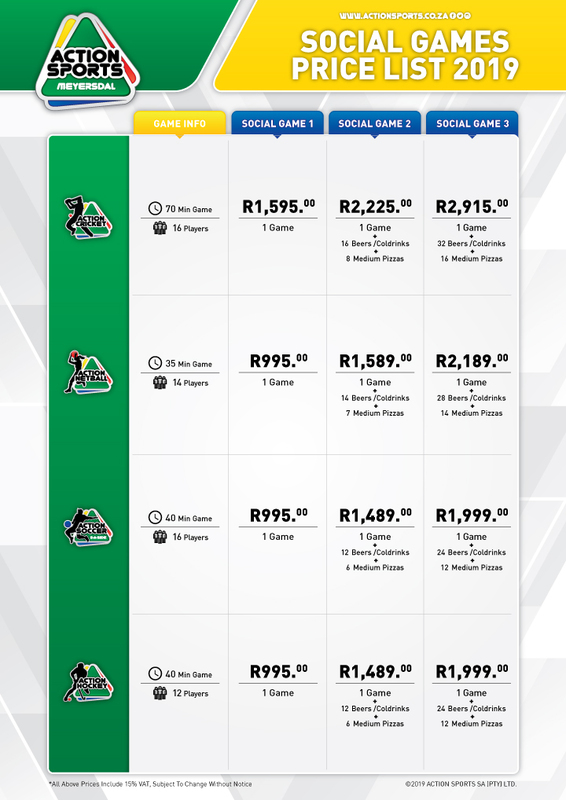 View League, Juniors and Social Prices for 2019. 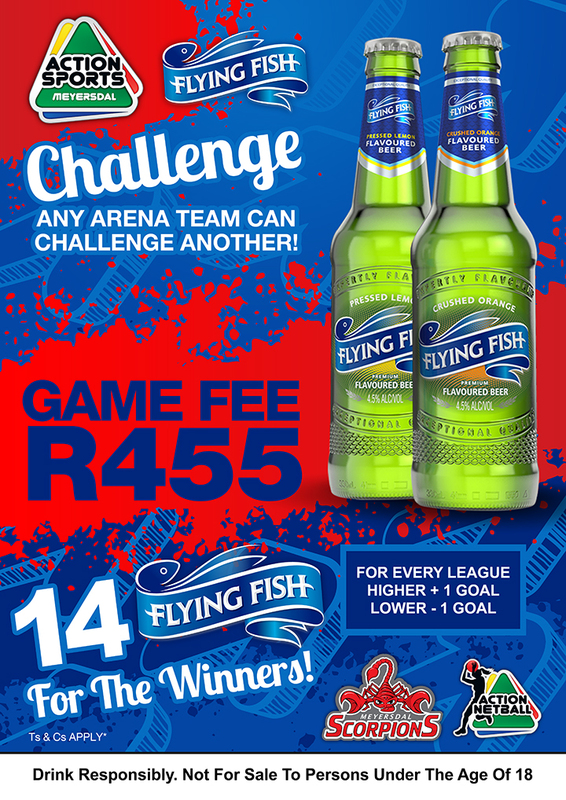 We also have Special Offers for Social Games! 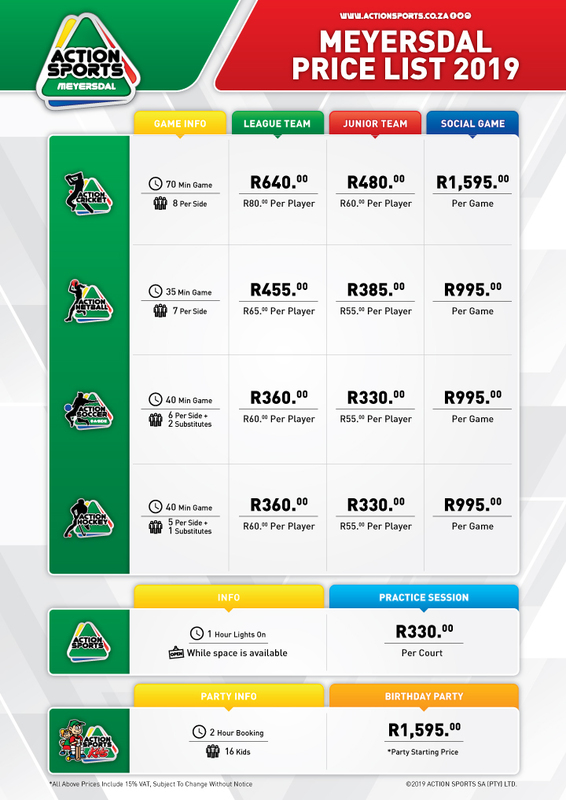 Web Design by WMD | ©2018 Meyersdal Action Sports Arena.